No need to waste electricity, take this easy to use clothesline instead! 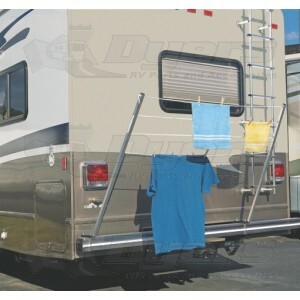 Towels, suits and more have a place to dry out of the way with our versatile clothes line. The aluminum tubes are removable and the hardware can stay put on a 4” or 4.5” sq. bumper.